Rev. Dr. Donald E. Dunnigan, Sr.
Rev. Dr. Donald E. Dunnigan, Sr. founded Cornerstone Fellowship Baptist Church in May of 1992. It was his first pastorate. Previously he had served as the Assistant Pastor of the Union Baptist Church. Pastor Dunnigan received his early education in the public schools of Wilmington, DE. He enrolled at the Shaw University in Raleigh, NC in 1981 where he studied music and psychology. He became a licensed minister in 1986 at the Union Baptist Church of Wilmington, DE. In 1987 he was ordained by the Mt. Zion Missionary Baptist Association and adjoining states and Rev. Dunnigan served as the Assistant Pastor of Union Baptist Church until 1992. In 1988 he received his B.S. degree in Bible from Philadelphia College of Bible in Langhorne, PA. He completed his Master of Divinity degree from the Eastern Baptist Theological Seminary in Wynnewood, PA in May 2002. In December 2007, he earned a Doctorate of Divinity at United Theological Seminary in Dayton, OH. Along with pastoring, he recently co-authored a book with Dr. Cecilia B. Dennery named "Key to Dynamic Discipleship - Connecting" (Released April 2018). Pastor Dunnigan is the son of Dea. Elbert and Sis. Margaret Dunnigan. He has two brothers; Ronald, of Las Vegas, NV and Kenya, of Wilmington, DE. He is married to the former Regina Johnson of Wilmington, DE and they have two sons – Donald, Jr. and Reginald. The family resides in Wilmington, DE. Samuel E. Lathem was born in Woodlyn,Pennsylvania. The family moved to Chester, PA and Sam attended the Chester Upland School District. In 1965 Sam began work at the Chrysler Plant in Newark, Delaware.He was elected and served two 3-year terms as Chief Steward in the Body Shop at Newark Assembly Plant. He was appointed as Civil Rights Chairman of Local 1183 UAW. He was then assigned the position of Administrator of the UAW-Chrysler Training Center in 1990 and was promoted to an International Rep of the UAW in February 1999. On October 4, 2003 Sam was elected as the first African-American President of Delaware State AFL-CIO, a position he currently holds. Rev. Lathem was ordained a Baptist Preacher in 1992 at the First Baptist Church of Morton, Pennsylvania by the New Hope Baptist Association. He currently serves as Associate Minister at Cornerstone Fellowship Baptist Church in Wilmington, Delaware. Rev. Lathem's spiritual integrity and diligence to serve his church and community has earned him the privilege of honored appointments such as the following; by Governor Dale Wolf to serve on Interagency Council on Literacy, by Governor Carper to serve on the Board of Directors for the Diamond State Port Corporation (Port of Wilmington), the Workforce Investment Board. Rev. Lathem also serves as Chairman of Delaware Advisory Council on Career and Vocational Education and appointed by Governor Minner to serve as the first African-American Delaware Commissioner on the Board of Directors of the Delaware River Bay Authority. Sam serves on the Board of Directors for Junior Achievement, Kids Count Steering Committee, and the 4-H Foundation Committee, the Board of Directors of SURJ (Stand up for What's Right and Just), Metropolitan Wilmington Urban League, United Way of Delaware, and serves as a member of Coalition of Black Trade Unionists. Rev. Lathem is married to Jean Lathem and has two stepsons and two grandsons. Evangelist Bernadette attended The Mother Church of God in Christ in Wilmington , DE . Under the tutelage of her pastor and mentor (the late Ross B. Rainey she gained in-depth knowledge about he call on her life as an Evangelist. Evangelist Bernadette enrolled in the United Christian College (now defunct), pursuing her studies in Christian Education. She was licensed in the United Holy Churches of America in 1977 as an Evangelist by Dr. Louvenia Dickerson. Evangelist Bernadette also attended Delaware State and Delaware Tech colleges for studies in sociology. As her ministry began to grow, family and friends were very encouraging. Evangelist Bernadette came to Cornerstone in 2009. Joining the church in 2010, Pastor Dunnigan asked her to continue to work in her capacity as an Evangelist. Evangelist Bernadette worked for the Bank of Delaware. She says, leading souls to Christ is what she does. It doesn't matter where she is at the time - if it is in order, she will always tell of the saving power of JESUS CHRIST. Evangelist Moore wants people to know that no matter how low a person is, God can reach him or her! 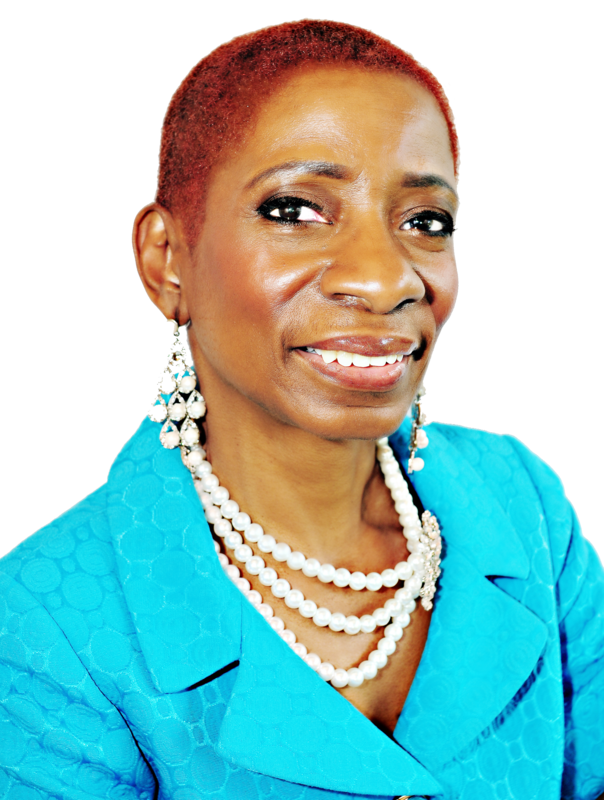 Dr. Cecilia B. Dennery is an ordained elder, author, actress playwright, poet, Bible scholar, founder of Doctrine 101 International School of Ministry, and a gifted communicator of God's Word. A dedicated student of the Bible for over 30 years, she has a profound grasp of the Word along with the God-given ability to explain deep Biblical truth with simplicity. 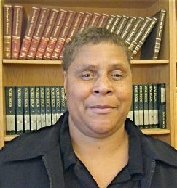 She currently assists the Pastor in the preaching and teaching ministry of the church to include Bible Study and morning meditation. I addition, she started "Cornerstone Theater" the drama ministry of the church, and co-authored the book "Key to Dynamic Discipleship: Connecting" along with Rev. Dr. Donald E. Dunnigan, Sr.
Dr. Dennery presents the Word in a unique way through her one-woman plays that transports you inside the pages in scripture and brings the text to life. She received rave reviews for her plays, "Crippled But Comfortable," the woman in luke 13 who was crippled for 18 years, "Uncommon Love," the woman with the alibaster box,"Rahab,the Foxy Lady," and "Queen Sheba's Visit to the King." Her dramatic presentation,"Kings Build Things," highlights our royal heritage as people of color from the Bible. She has a book with the same title and a companion book," Tacing Your Biblical Roots" that explains your racial identity from a biblical perspective. Her book,"Demystifying Revelation" presents seven (7) critical keys that provide unique insight into this often misinterpreted book. "Christ and Covenant: Key to the Scriture" provides the two keys to understanding the Bible as one book, the story of redemption. Her book of poems,"The Poetry of My Life" includes stories about her life that coincide with te writing of the poem. Dr, Dennery earned an Ed.D from Wilmington University, a M.B.A. from University of the Virgin Islands, and a M.S. in Bible from Cairn University (Philadelphia Biblical University ). She enjoys praise dancing and sign language interpretation for the deaf. Check her ministry website www.DrDennery.com for her video profile. To book her for your next ministry event, email her at DrDennery1@gmail.com. Our Ministerial Staff section is under construction. Please check back later.